Endometrin 100 mg (45 tablets) is a vaginal insert medication that provides the progesterone hormone. As a part of IUI or IVF, this medication is used to supplement low progesterone levels during the luteal phase of the menstrual cycle. 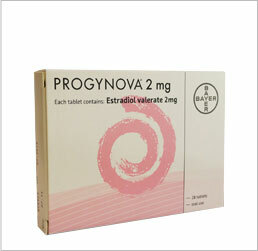 Progesterone is vital after ovulation to prepare the lining of the uterus for implantation of the embryo and for maintaining early pregnancy. Endometrin is used to create a better environment for an embryo, preparing the lining of the uterus to receive the fertilized egg. Endometrin contains progesterone which encourages the body to become pregnant and then to maintain the pregnancy once implantation has occurred. Endometrin 100 mg is one of many high quality infertility medications offered by IVFPrescriptions. Of the infertility drugs on the market, Endometrin has a successful track record resulting in pregnancy. Endometrin is indicated for patients who have been having difficulty in maintaining a pregnancy, or in becoming pregnant. Endometrin is one of many IVF meds that are indicated for use in treating infertility, often in combination with other IVF drugs. Because we offer only the top branded IVF medications we are able to help you save on the Endometrin price, over most others in the same market. Endometrin, used as part of the overall IVF treatment, and in conjunction with other ivf drugs, can have one or more side effects. Most women only experience mild stomach cramps, nausea, drowsiness, headaches that go away, bloating, breast tenderness, vaginal discomfort, and irritability. In rare cases others may experience mood swings, swelling in the face, feet, or hands, weakness on one side of the body, slurred speech, trouble speaking or walking, confusion, or coughing up blood. If this happens, call your doctor or get medical attention immediately.